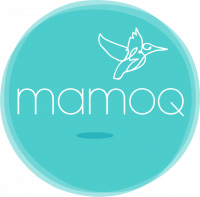 MAMOQ is an online fashion marketplace that values well-made, quality fashion designed with respect for the planet and its people. MAMOQ is home to over 65 independent fashion labels that share its commitment to style, sustainability and ethics. MAMOQ's mission to make the fashion industry a more sustainable place also extends to its delivery network, all offset with UK woodland creation in partnership with Forest Carbon. Over time you will see the projects MAMOQ has supported below.